"THE LITTLE HAMPTONS" : Izannah Walker doll. 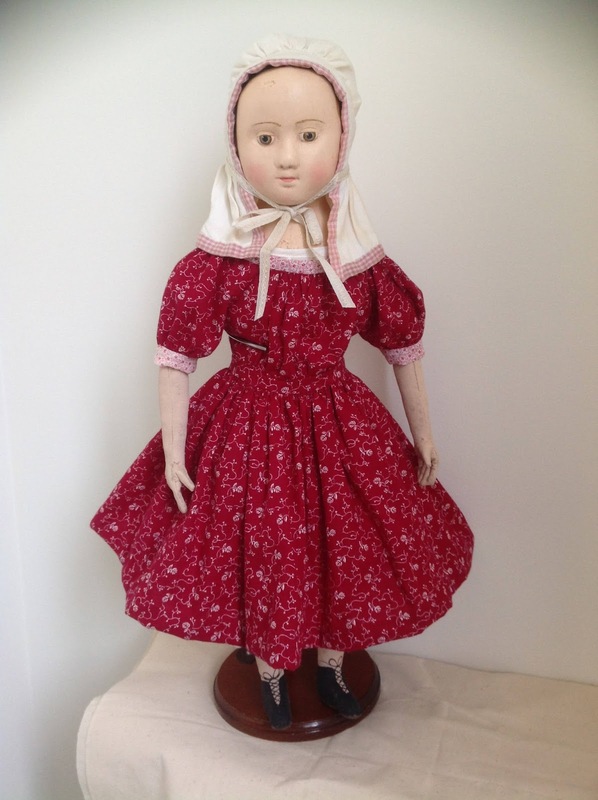 Reproduction antique style art doll by The Little Hamptons. Izannah Walker doll. 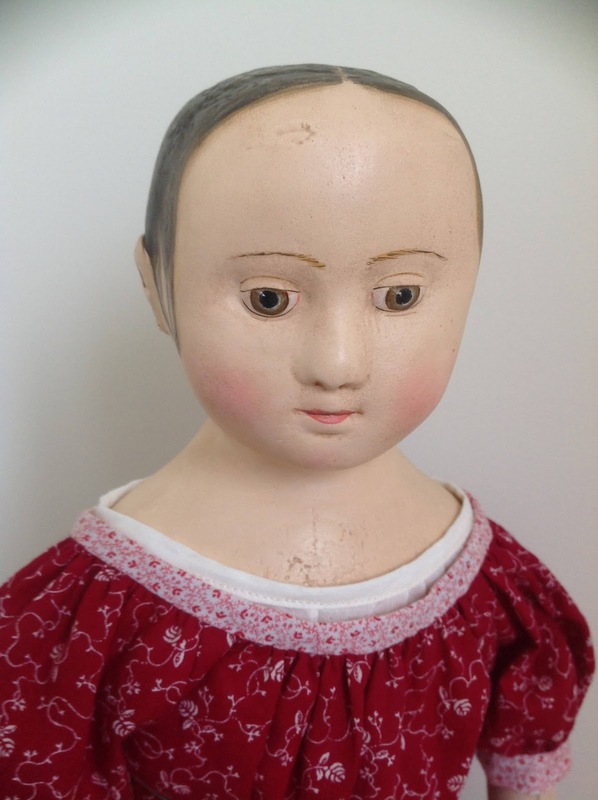 Reproduction antique style art doll by The Little Hamptons. 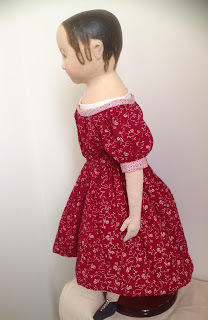 Hannah is a 19" reproduction of a mid 1800s Izannah Walker doll. She has a composition head and shoulders that I made using the mold taken from the original antique Izannah Walker doll named Hannah . I carefully paint and give these dolls a nice antique look. The bodies are made from cotton fabric and stuffed as the originals were, with cotton stuffing. I have also painted and aged the arms and legs, to look just like their antique sisters. She is dressed in a pretty outfit that I have machine and hand sewn from vintage and antique mid 1800s fabric and newer cotton voile for her underwear. All the clothing is removable and has hand sewn button/buttonhole or loop fastenings. This doll has a very authentic aged look. I have painted the ringlets at the sides and at the back. She's wearing a chemise, undies and petticoat, hat and dress. I have painted her boots directly onto her feet.